Released: April 2010. Genre: 2D Beat 'em up. The first decade of the 21st Century saw an unusually quiet period for Street Fighter, as after a couple of ill-judged forays into Tekken’s 3D beat ‘em up territory, Capcom dedicated much of the sixth generation to making versus titles with the likes of Marvel and SNK. 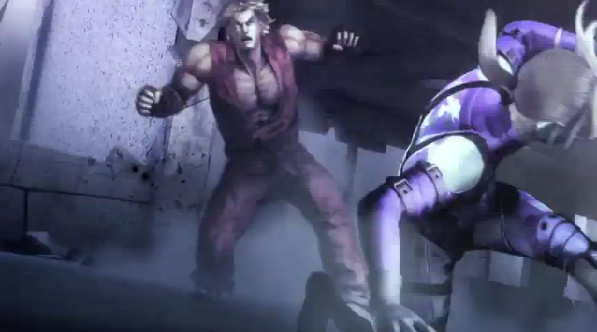 But in the blink of an eye, Street Fighter was back in the big time with the impressive SFIV landing a sizable blow in 2009. 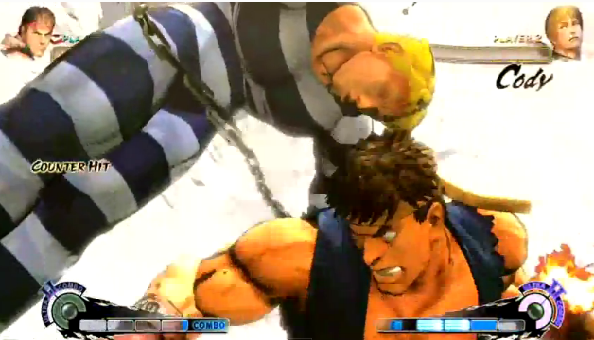 So what’s changed in the period between SFIV and the frankly inevitable update known as Super Street Fighter IV? Well, to put it simply, BlazBlue: Calamity Trigger happened. 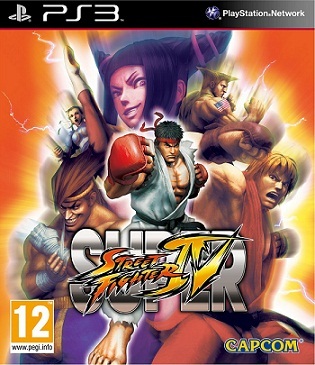 2D beat ‘em ups were refreshed by Arc System Works’ instant classic; it rewrote the rulebook not only on how fighting games could articulate stories, but also expressed a range of imaginative moves that didn’t stick rigidly to the established charge and quarter-turn key inputs that all 2D fighters have been desperate to follow over the last twenty years. Why such an explicit comparison? Each member of BlazBlue’s small but exquisite band of brawlers proved entirely unique and yet as a collective, formed a beautifully balanced roster. 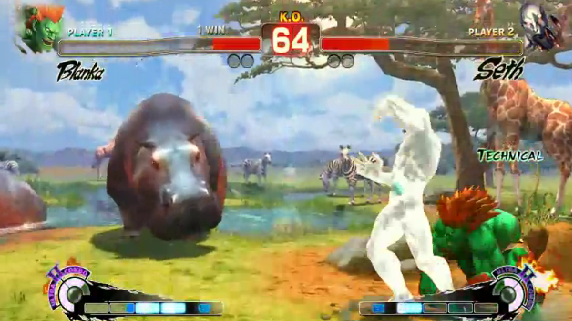 Remind you of anything, Street Fighter II perhaps? Once the innovator, Street Fighter (for better and for worse) these days opts to build on its impressive lineage, forsaking the risky route of innovation and instead following King of Fighters down the ‘little bit more each time’ path of incremental updates. And this leads us neatly to Super Street Fighter IV, which essentially mirrors its predecessor save for the addition of around a dozen new fighters (well, two new fighters and a bunch from earlier games reborn in glorious HD) as well as some new online options. Of the new characters, the rather sinister taekwondo femme fatale Juri is nothing wildly unusual, though Turkish oil-wrestler Hakem most certainly is, with his speedy, aggressive lunges make him a slippery customer (sorry) and an interesting spin on the tank-like wrestling figures that tend to populate such games. A clutch of characters from Street Fighter III add to the fun, as do Guy and Cody, who return in their Street Fighter Alpha guises (Cody in prison gear and handcuffs). Should you wreck the car within the time-limit during the supreme bonus stages with one of these two, a guy will appear, exclaiming “oh, my car!” in a wonderful little nod to the sequence in Final Fight where such vehicular destruction began. Whilst a great number of fighters will end up feeling both familiar and similar to one another, there’s no denying the craft on show. Movement and input responses are supremely rapid without feeling so fast as to undermine the complexity of the controls (a major pitfall of Super Street Fighter II Turbo HD Remix), as the faster Street Fighter gets, the harder it becomes to utilise those special moves you’ve spend so long practicing. You’ll need to invest lots of time mastering each protagonist, and the more you put it in, the more rewarding it gets. Strengths and weaknesses are smartly defined and there’s the strong balancing that’s become a trademark of Capcom’s work, although inevitably, there are a few blips. The most obvious disappointment is Seth; the main boss, and a rather generic amalgamation of other characters styles and move sets, fights against him entirely lack the theatre of facing M. Bison. 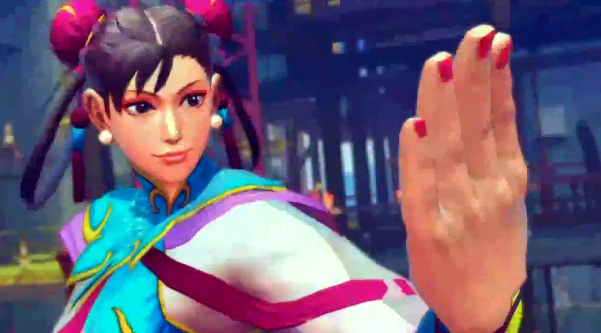 The cartoon animated graphics are as gorgeous as they are distinctive, and were perhaps the most striking facet of Street Fighter IV when it was unveiled. Due to the nature of SSFIV, most of what’s on show here is of course recycled, but the new fighters and outfits are nevertheless very welcome and every bit as attractive as those that went before them. Colour-saturated backgrounds are bustling and fun, whilst the cast, almost to a man, woman and beast, look fantastic. Each fireball, uppercut and ultra-combo is delivered with a stunning ferocity, and whilst the story setup doesn’t delve into anything deeper than the archetypal beat ‘em up norm, perhaps Street Fighter is at its most comfortable in the heat of battle, and in fairness, there are some lovely anime cut-scenes bookending each strand. The huge roster of fighters gives SSIV good scope for long-term play, particularly if this is your first dose of the SFIV run. 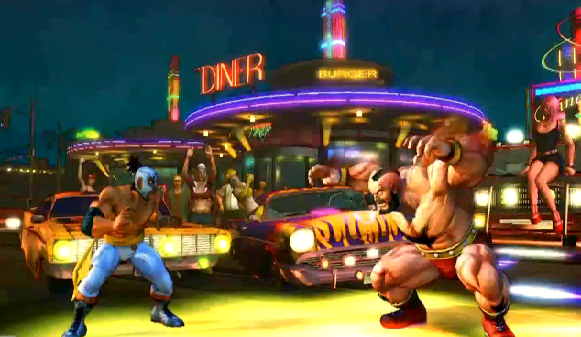 It’s disappointingly threadbare in terms of offline options however, as whilst replaying the bonus stages is a good laugh for a bit, the Trials that see you moving one-by-one through each brawler’s specials and combinations, will seem excessively dull to all but the most accomplished of Street Fighter players. In an era where updates, patches and DLC have become the norm, it’s hard to shake the feeling that the sum-total of Super Street Fighter IV’s additions are more fitting of a ‘Game Of The Year’ update rather than a whole new game. Whilst the Ranked matches remain, a host of promising online options including Tournament and Endless haven’t really taken off in the community, and without others playing them, you don’t get an awful lot that wasn’t available already. Which leads us to that dullest and perhaps most inevitable of conclusions: if you haven’t played SFIV, there’s loads to sink your teeth into here and at its core, it’s a classy fighter that’s still magic as a multiplayer experience. If you’ve played the original to death however, it’s debatable whether the new characters will justify forking out for another retail purchase.